Craig Avery, Esq. is a mediator with 25+ years of litigation experience. 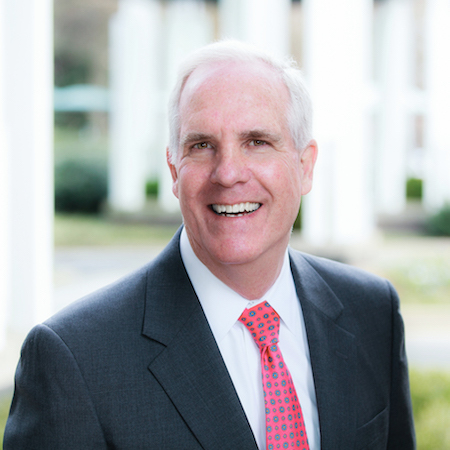 He is a veteran defense and plaintiff’s attorney with significant experience handling cases involving soft tissue and catastrophic injuries, wrongful death, premises liability, auto and trucking accidents.​ Acting as sole trial counsel, and often opposing some of the best personal injury lawyers in Georgia, Craig successfully handled over 400 jury trials in Superior and State Courts in 38 Georgia counties. What was your first law job? I choose to hang my only shingle as a general practitioner. I wanted to experience all types of practice areas and represent a variety of clients before selecting a more specialized path. If you wanted a divorce, your credit problem resolved or wanted to get out of jail, I was the lawyer for you. It was in my blood; my father and grandfather practiced together in a town of 8000 people. I witnessed first hand how they made a difference In the lives of their clients. How did you decide to branch out into mediation and alternative dispute resolution? ADA was a natural progression from my trial practice. While I enjoyed, and still enjoy, the adrenalin rush of a jury trial, helping litigants reach a mutually satisfactory resolution of their disputes provides its own reward. In an inherently adversarial profession, I’m proud that courtesy and professionalism have remained the foundation of my practice. It facilitates the favorable resolution of disputes quickly, fairly, and economically. To resolve each case to the satisfaction of both sides. I believe a successful mediation results in a win-win outcome for all parties. How has you life experience made you the neutral you are today? I have spent my career evaluating personal Injury related cases and resolving them through settlements or trials. I have gained insight into how insurance companies and juries evaluate litigants and their cases. Why do people like working with you? I trust that the participants appreciate that I understand their positions and communicate them to the other side in an effective and engaging manner. A Soldier of the Great War. What’s your favorite way to spend free time: Golf, tennis, and family. Christmas – it’s filled with family traditions, memories of family and friends who have touched my life, and reminds me of how I’ve been blessed. I can’t imagine doing anything else. A Ferrari salesman might be fun, though. If you could have dinner with any one person, living or dead, who would it be and why? Paul the Apostle – to learn the meaning of life…. Click here to learn more about Craig Avery or view his online calendar.